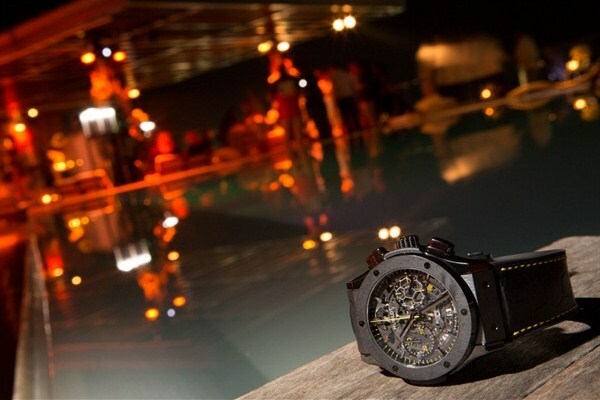 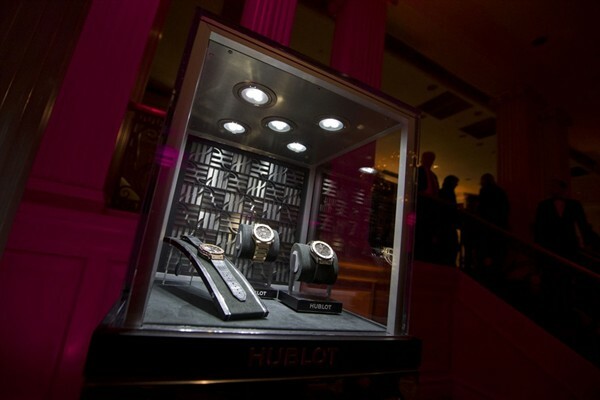 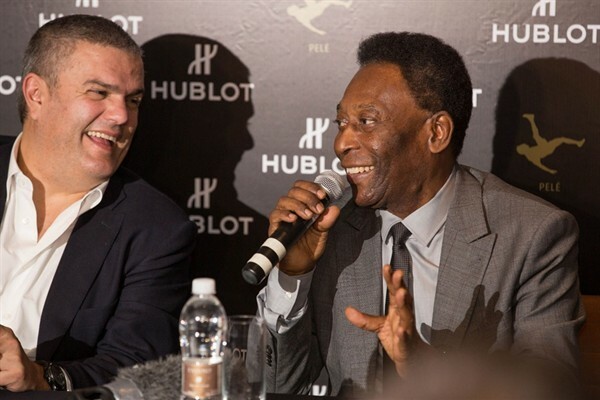 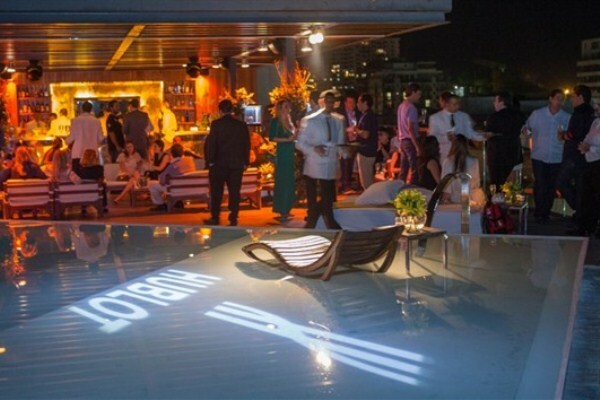 It was a hat-trick for Hublot as the manufacture scored the contract as Official Timekeeper of the 2014 World Cup in Rio, signed football legend Pelé as brand ambassador, and opened a new boutique in Rio de Janeiro, its first on the continent. 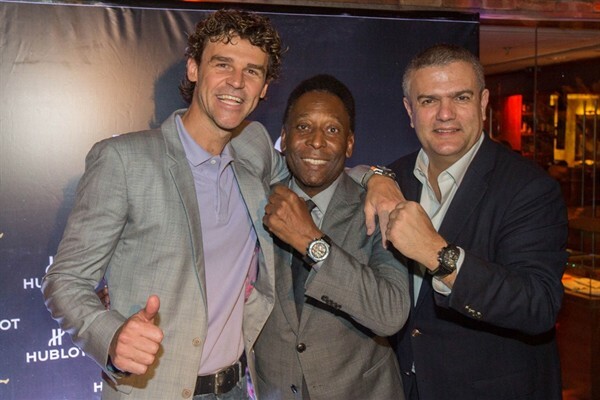 Known for its passion and fervour for all kinds of sports, from Formula One racing and tennis to basketball and of course football, Hublot generated a massive pre-World Cup buzz with a new timepiece designed especially for Pelé. 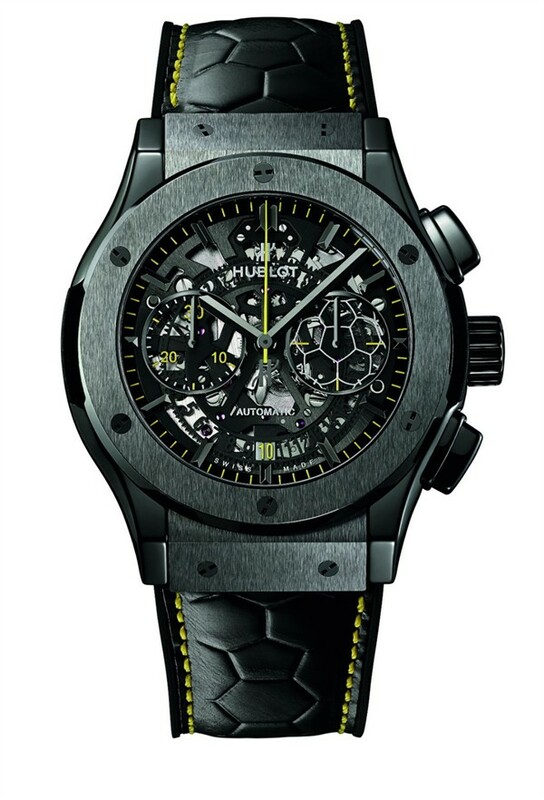 Inspired by the world’s most popular ball game, the Classic Fusion Aerofusion Chronograph Pelé comes with a polished and satin-finished black ceramic case and a skeletonised dial with a soccer ball motif in the running seconds sub-dial. 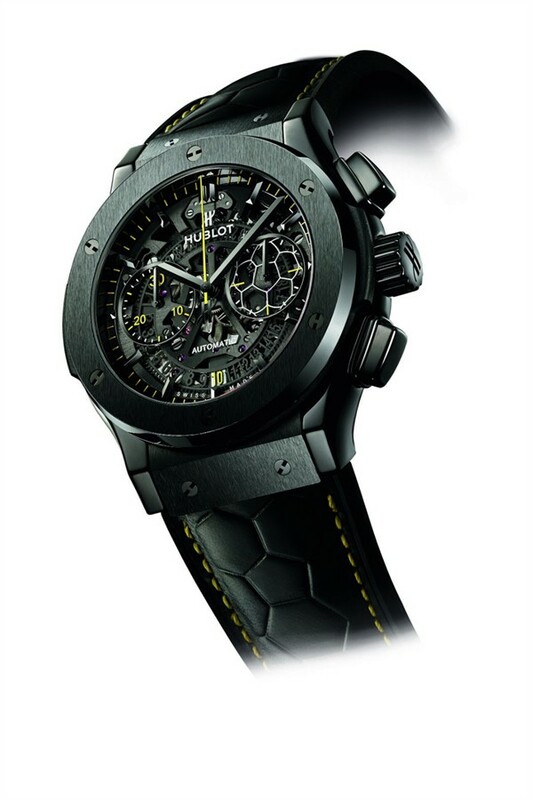 Predominantly black with yellow accents on the chronograph hand, numerals of the 30-minute sub-dial, date, minute track and strap stitching, its black rubber and calfskin strap is embossed with a football decor and paired with a black PVD-coated steel deployant clasp. 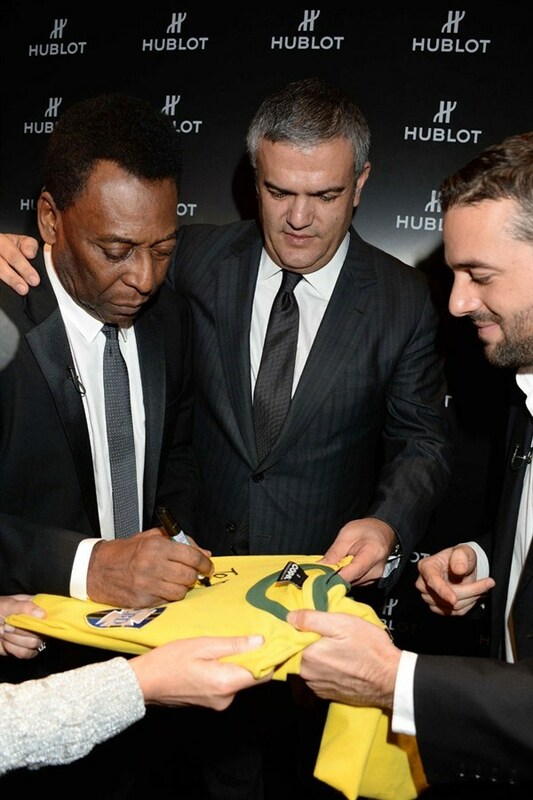 Inside it has a skeleton chronograph movement and on the case back there is Pelé’s signature to mark this partnership. 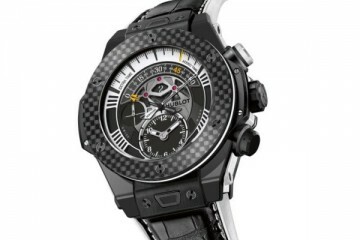 Only 500 pieces will be available. 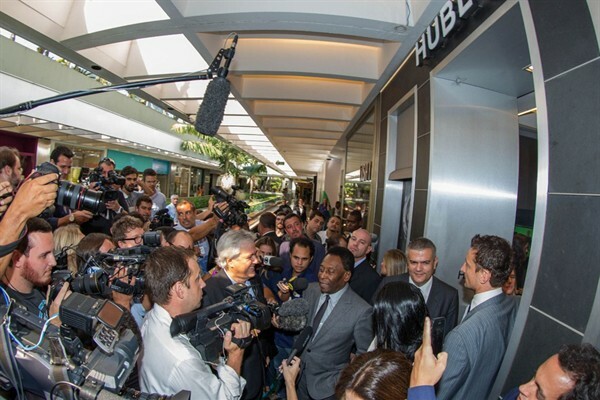 Together with the grand opening of the Hublot boutique at the Fashion Mall in Rio de Janeiro, this model was presented to Pelé as his official watch from Hublot. 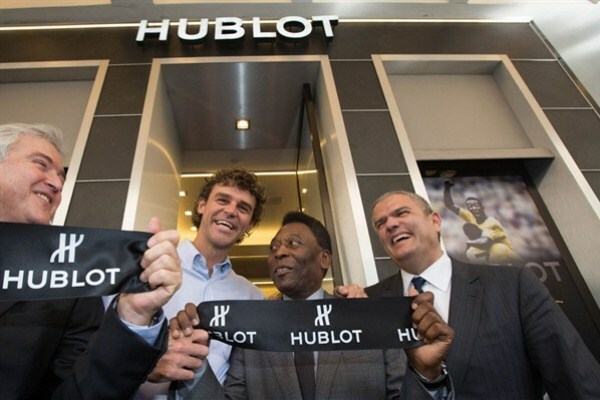 The football legend was joined by former tennis ace Gustavo Kuerten and CEO of Hublot Ricardo Guadalupe at the ribbon cutting opening ceremony. 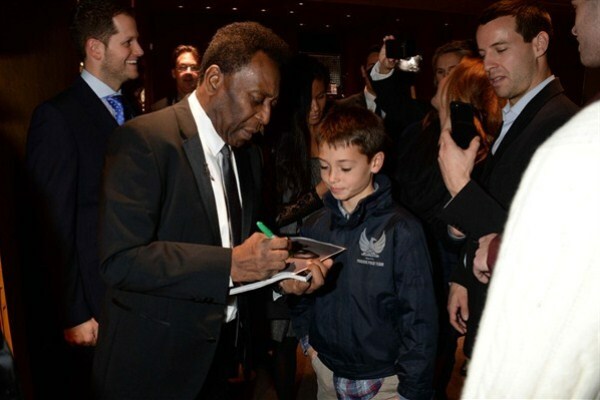 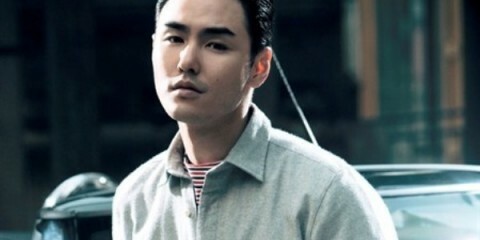 Apart from fans of the brand, the nation’s football-loving people swarmed the scene to catch a glimpse of the football legend. 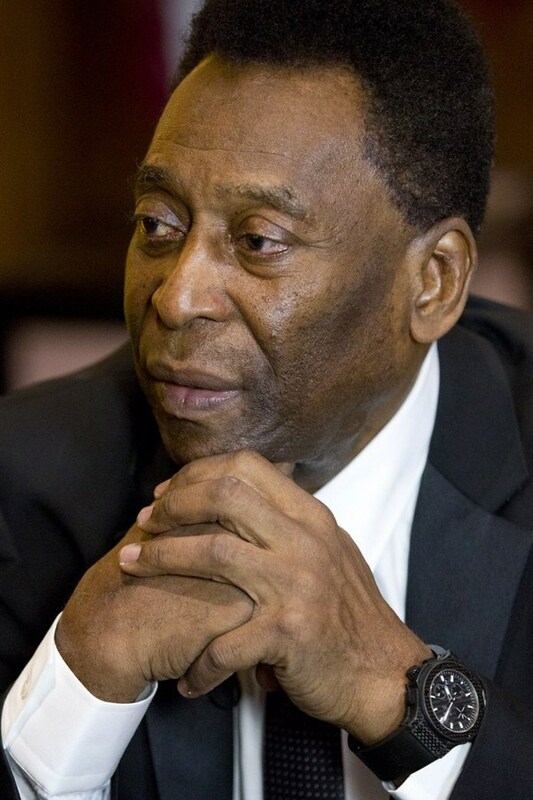 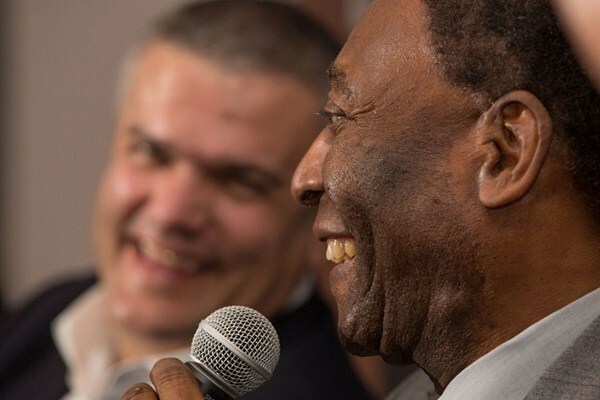 Even though he officially retired in 1977, Pelé is still the worldwide ambassador of football, representing the UN and UNESCO for education, ecology and the environment.